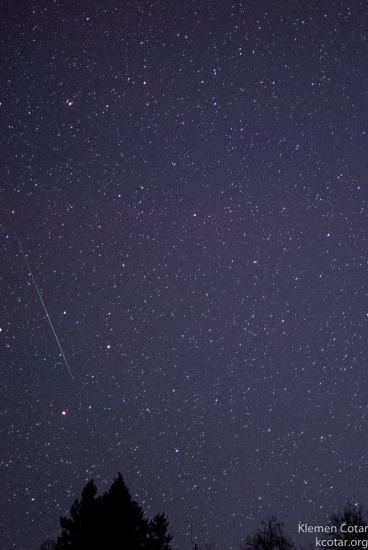 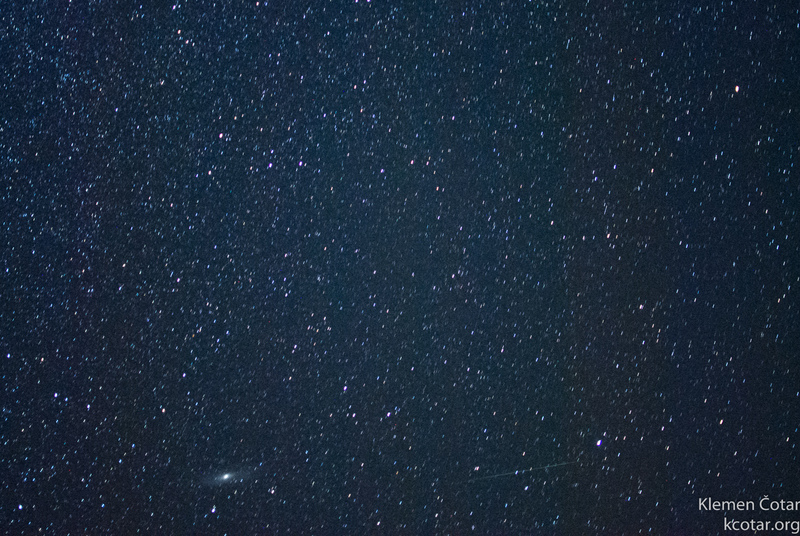 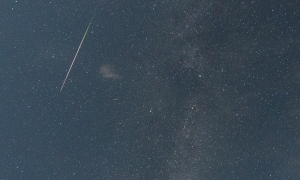 Perseid in UMa 11. August 2016. 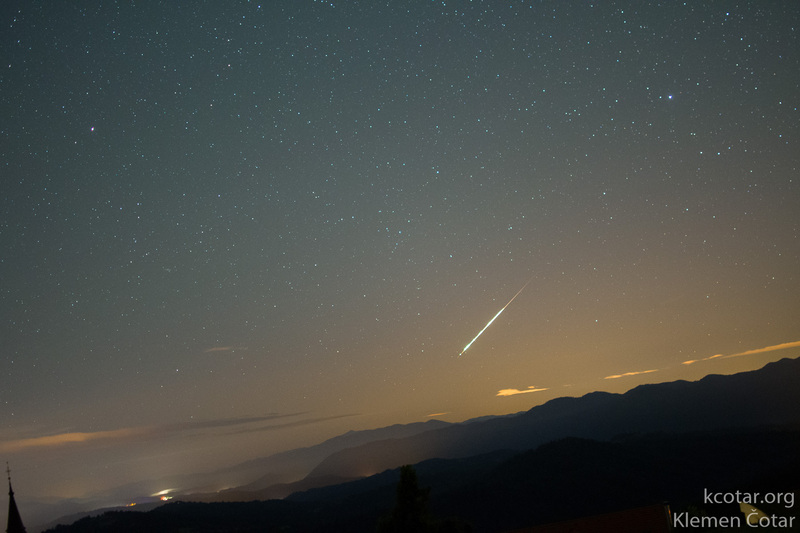 On the peak night from 12th to 13th August 2015 the sky was clear so we were able to observe many bright meteors throughout the night. 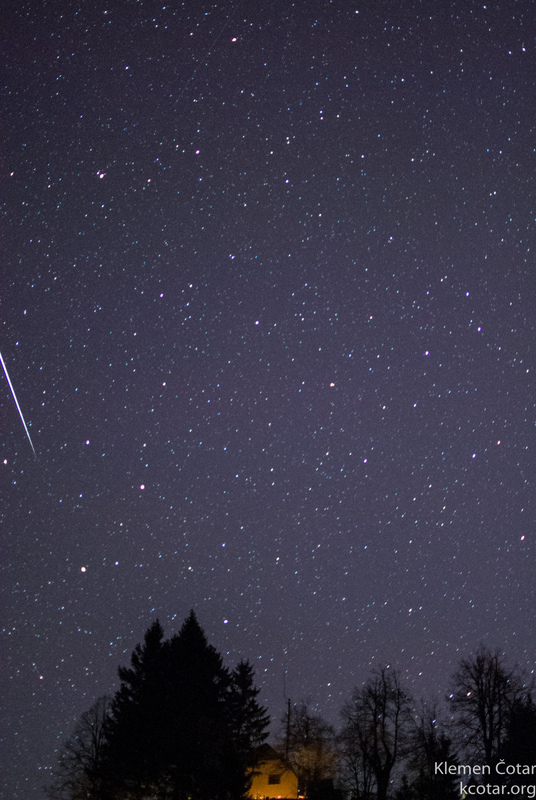 The brightest of them were observed late in the night when the radiant was high in the sky. In the photographs their trail usually appears in green and orange colors. 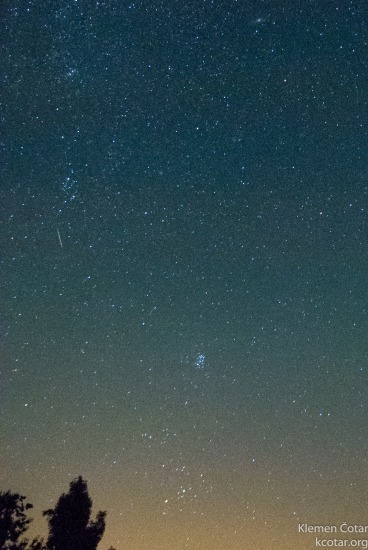 Sight at the horizon revealed quite a strong airglow activity. 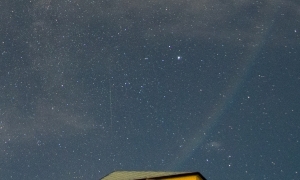 In the photos it is visible as green (purple) light near the horizon. 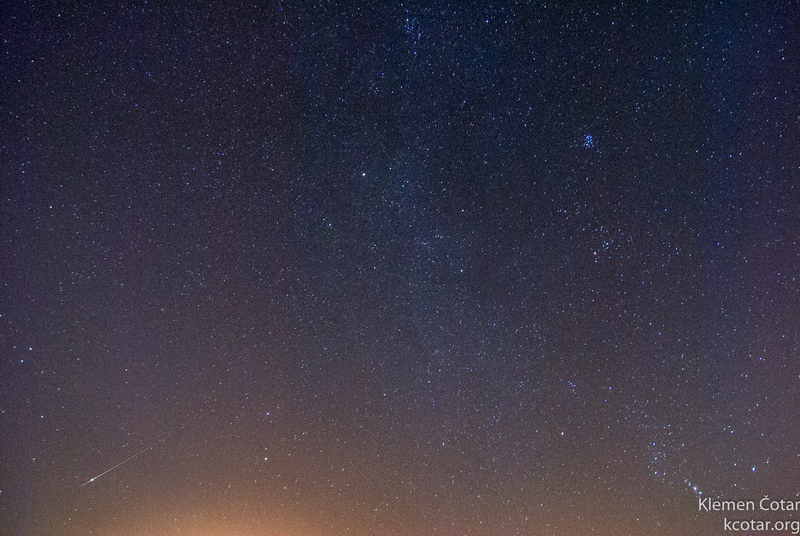 It should not be confused with strong orange light that is a result of a light pollution. 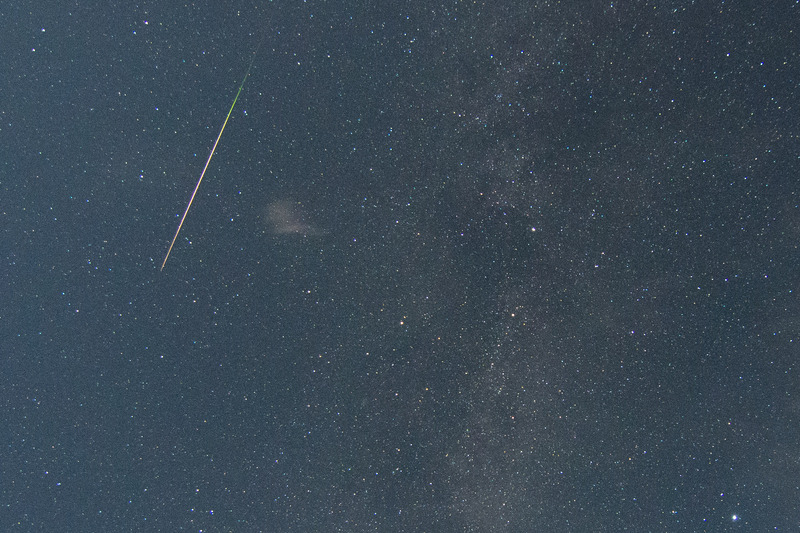 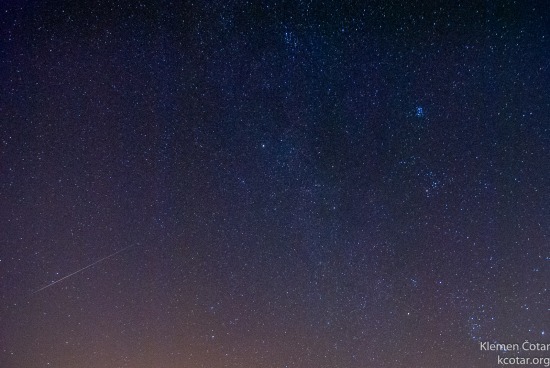 Here are some of the brightest Perseid meteors that I was able to capture. 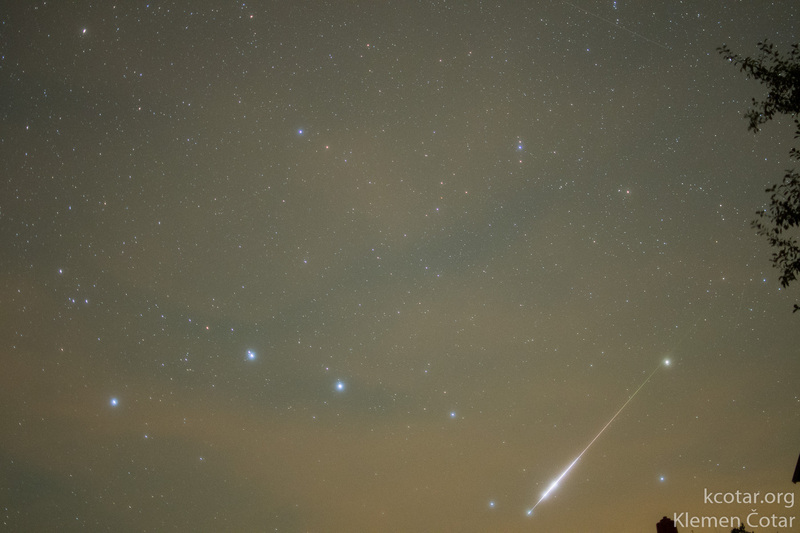 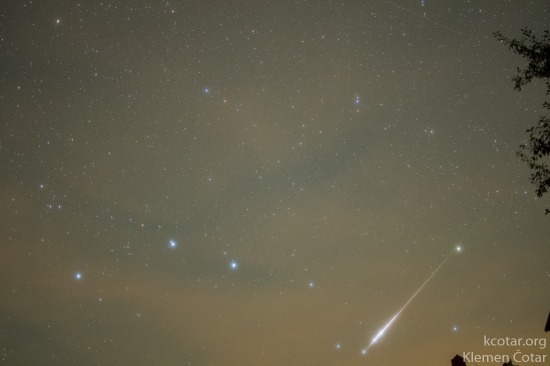 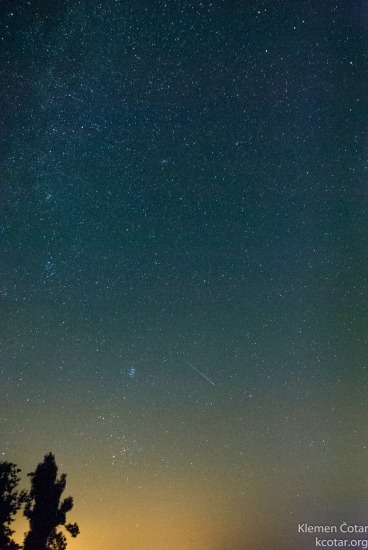 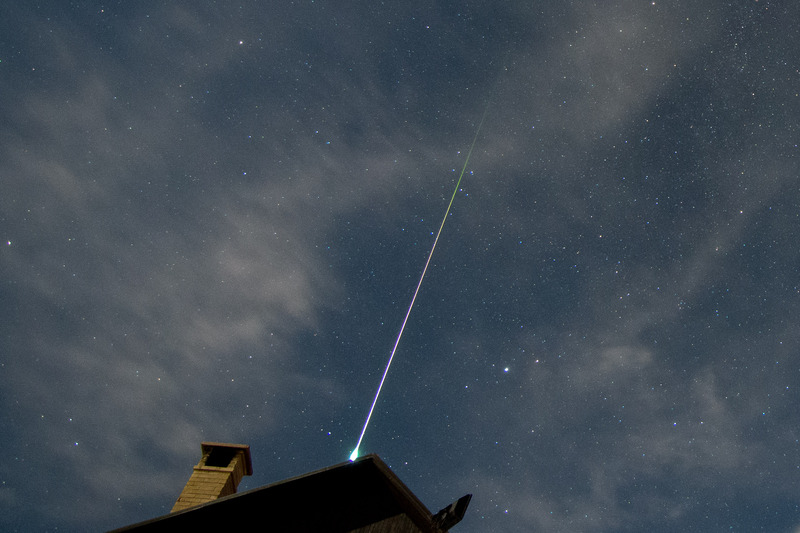 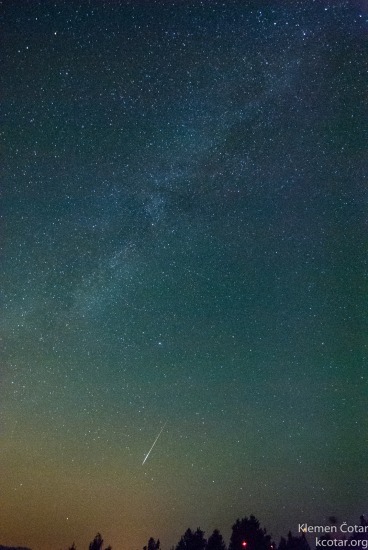 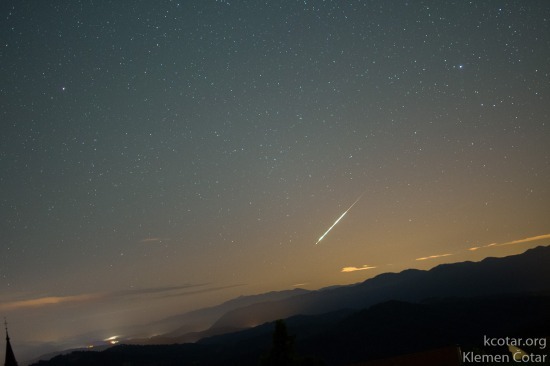 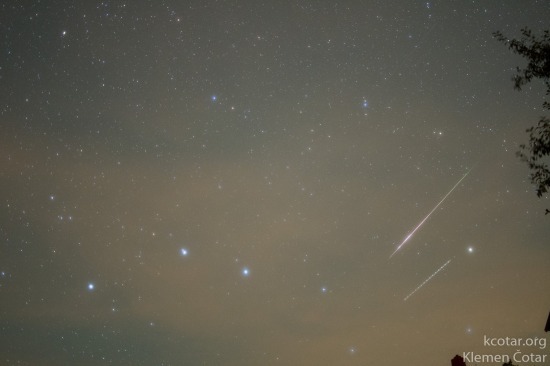 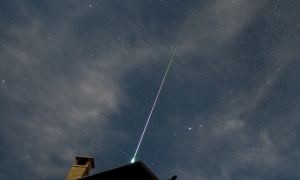 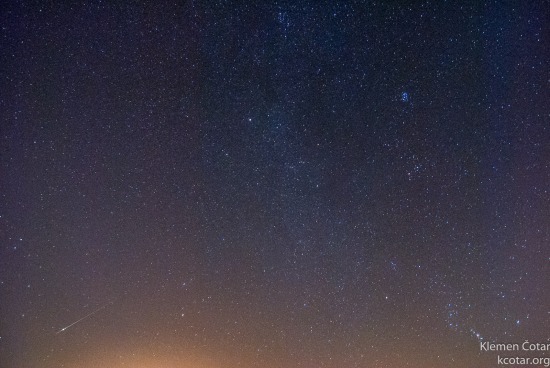 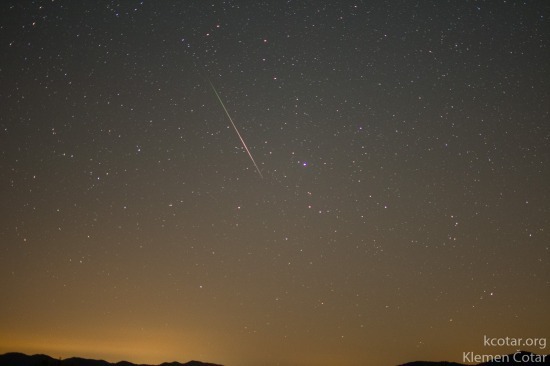 More meteor photos can be seen in gallery. 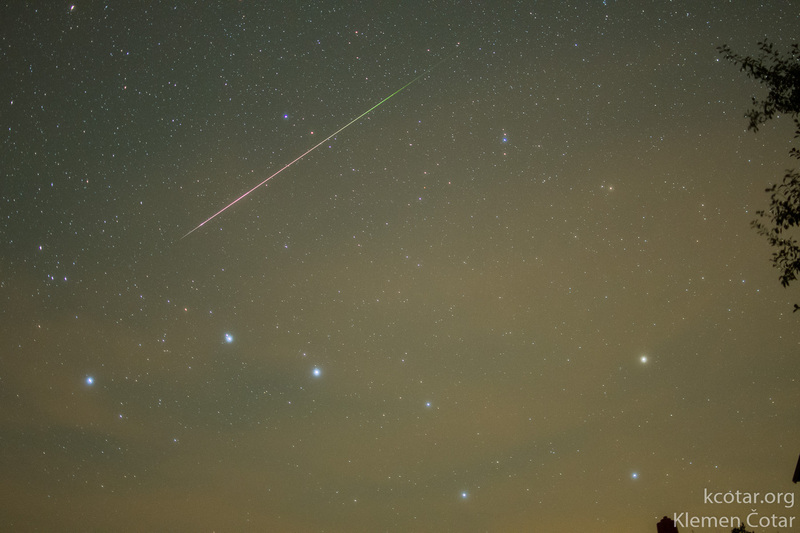 Some of the Perseid meteors can already be seen in days before the shower peak that usually happens in the night from 12th to 13th August. 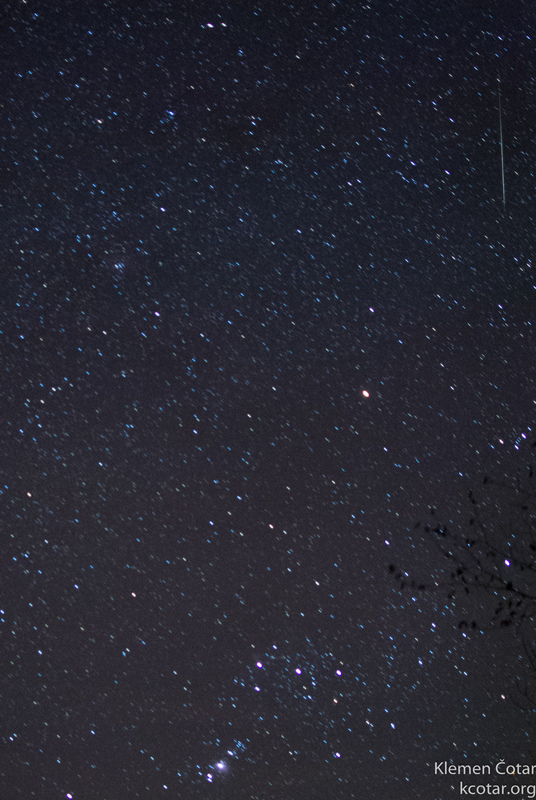 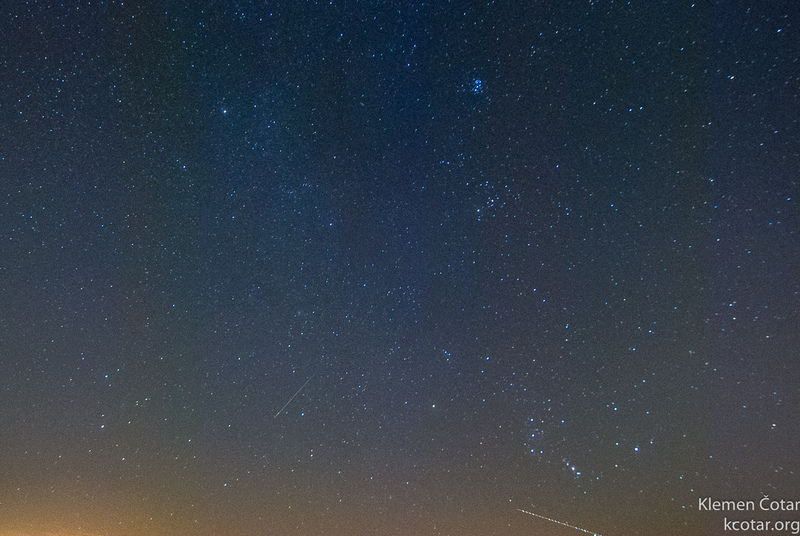 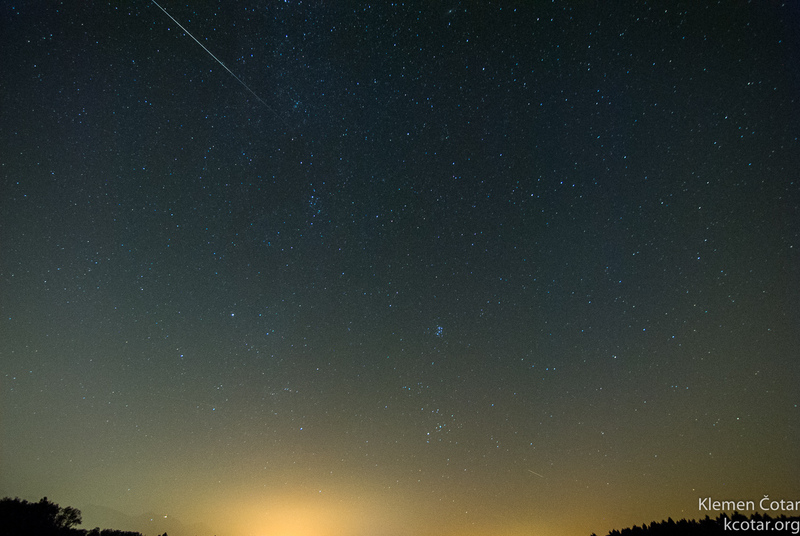 Here are some of the meteors (most of them are not very bright) that I was able to capture before the maximum.